For one neat example a tractor, for discussion sake, is used multiple times on any typical day in the farm for feeding the livestock, cleaning the barns, hauling loads and several other tasks. But one governing aspect in designing a heavy engineering equipment, or an innovative and multi-purpose equipment is the involvement of heavy financial investments. 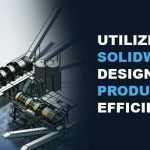 Another alternative to heavy investments is off course resorting to Computer-aided designing – CAD technology, employing software like SolidWorks that is cost effective and gives insights about the product before it is actually commercialized. Recently, an undergrad student of one of the leading state universities in the USA designed an automatic folding tractor step. However, he has been working with prototype of the product for marketing it until the funding areas are settled. 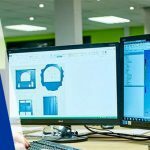 In an era of technology, sufficing the aid to develop prototype can be easily fulfilled using CAD modeling techniques and rapid prototyping techniques. 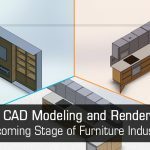 However, the roots to this entire innovative idea lies in generating efficient designs of the innovative product using CAD modeling solutions, allowing the user to make as many changes as the ideas pop up and quickly updating them with the same accuracy. It goes without saying that when undergrad students are targeting innovations, OEMs [Original Equipment Manufacturers] have already made their base and their investments are in place to generate higher ROIs & sustain competitive edges. Since the increase in global population is a concern for OEM, they are required to deliver more efficient products. While efficient products root back to fundamental changes in designs, OEMs insist their designers in enhancing the most fundamental components of their equipment. In our discussion case of earth moving tractor, controlling of vibrations generating due to operation and power transmission is a trending aspect to achieve higher yields. Alongside, the noise produced during the operation of various rotating and reciprocating components of the tractor is of the frequency of 125-500 Hz, which may vary with the age of tractor. Therefore, it becomes essential to surpass this design challenge for the design engineers, by focusing on the perfect and accurate dimensioning of mating parts. When there are several reciprocating parts, it is not anymore the case of proper assembly but also design accuracy achieved in fabrication drawings. CAD modeling helps in understanding and delivering the clear design intent for assembling the components with accurate alignment to place them in position. When correct tolerances are mentioned accurately in the drawings with standard symbols across the draft using CAD modeling tools, the manufacturer sees an ease in understanding the details from the fabrication drawings and assembly sequence animation that can be easily generated from 3D CAD models. This, in turn, results in correct alignment of mating parts in the transmission line generating the least possible noise and vibrations. Besides, if there are any change orders issued from the shop floor, they can be made quickly in the CAD designs and new drawings can be issued without much delay. 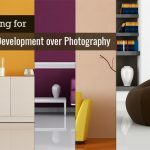 Customized design standards as adopted by any particular manufacturer whether it is ASME, BS or any other can be adopted and design drafts can be altered as per the need. Considering an example of one of the leading Czech company established back in late 1800 was hit by recession recently. However, their business in manufacturing of tractors showed a rise of 30% demand in 2015. 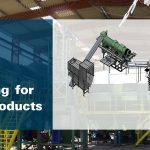 This dynamic growth of the company is because of the product development and their R&D engineers’ capability to deliver innovative products and market competence designs with CAD modeling tools. Among their few recent innovations, the company designed a robust tractor with four stroke three cylinder engine having a capacity of 20.2 HP. The specialty doesn’t end here. The tractor can function almost all day long irrespective of the working terrain and the innovation became the best seller in international market. Since, CAD offers improved design intent communication for power transmission line; it shows impact on the entire manufacturing efficiency. On the other hand, poor designs result in more energy and lesser yield since the power generated by engine is scattered in overcoming vibrations due to misalignment of mating parts in the transmission line. OEMs should rather rethink on deploying resources and concentrate on substantial increment in investments for fundamental aspects like improving the design drafts by making them more accurate. CAD drafting is both improving efficiency of the final product by aiding better fabrication channel and also synergistically improving the sales because of increased efficiency of the component. About Author: Jaydeep Chauhan is an Engineering Specialist working at Mechanical 3D Modelling for the past 1 year. He caters critical engineering challenges with ease and performs exhaustive procedures to develop robust, well-engineered and high performance designs. He can always be found in the lab discussing, brainstorming and tweaking designs.